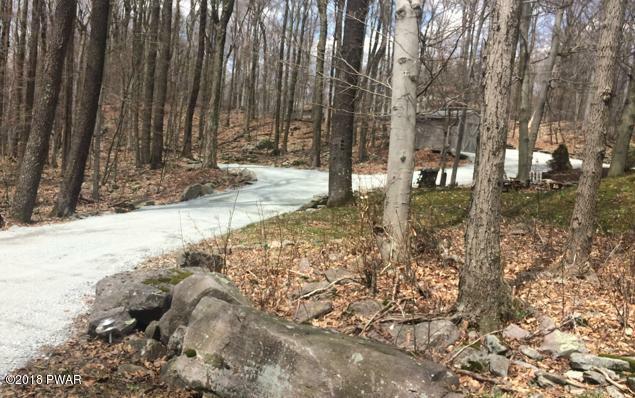 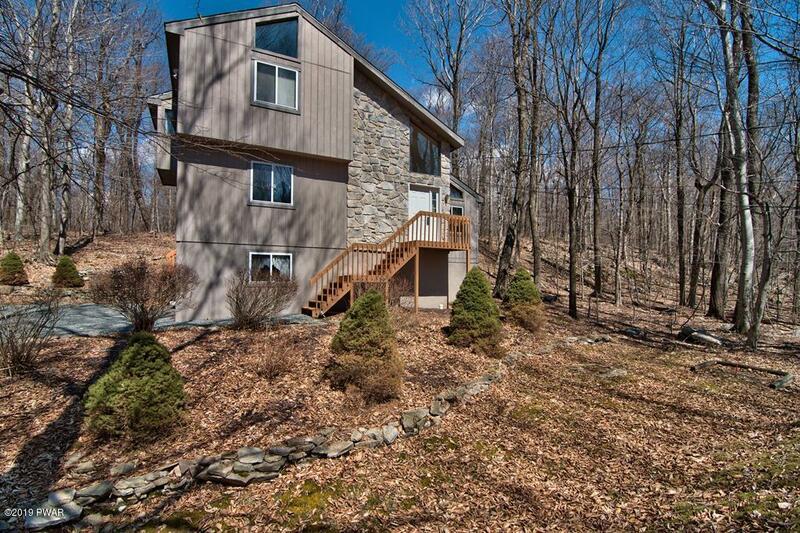 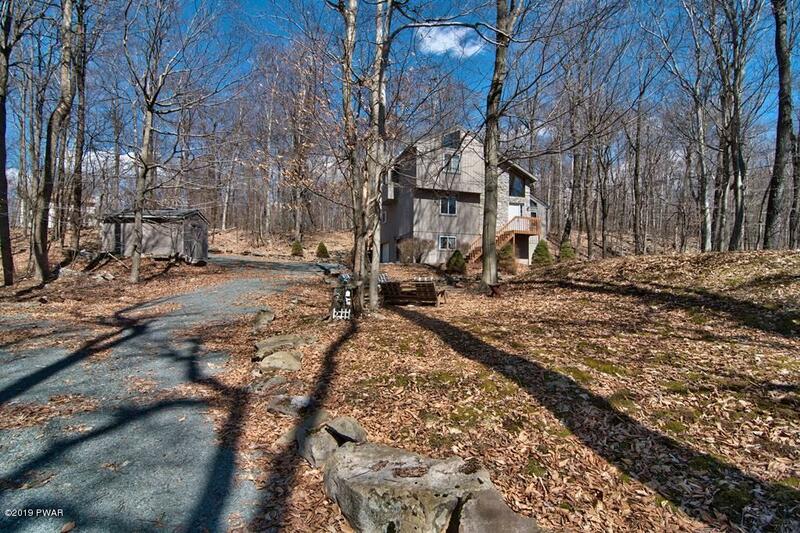 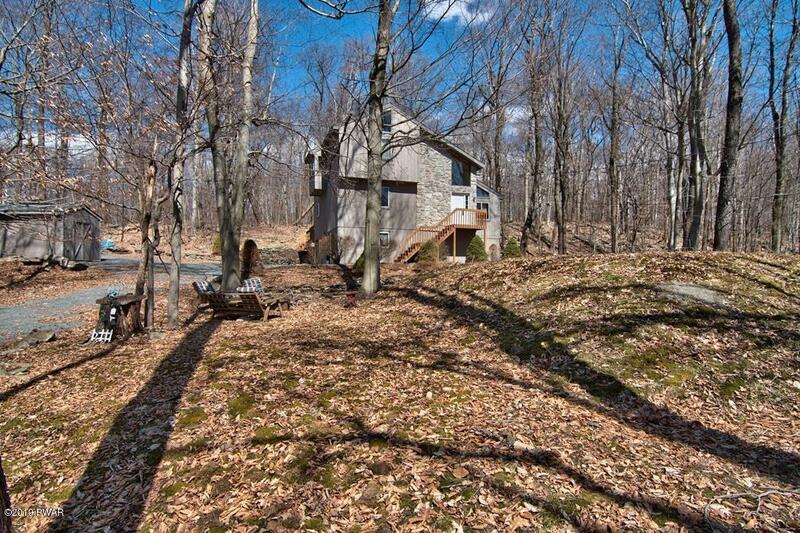 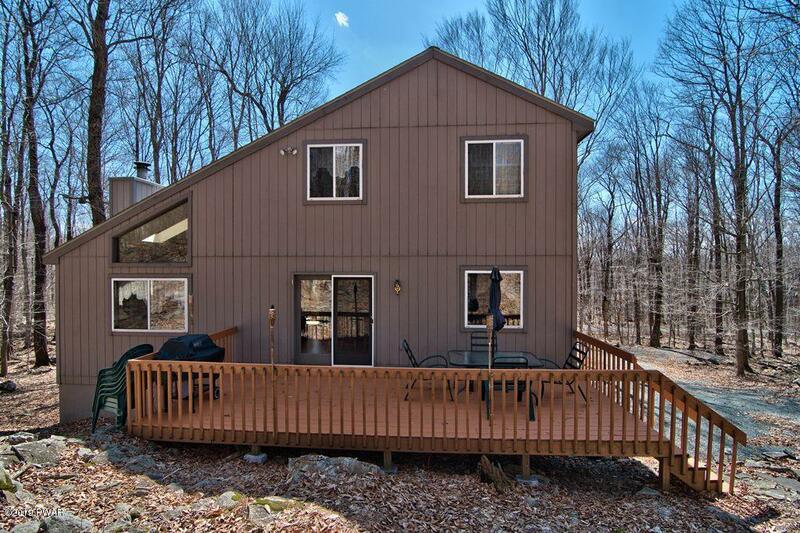 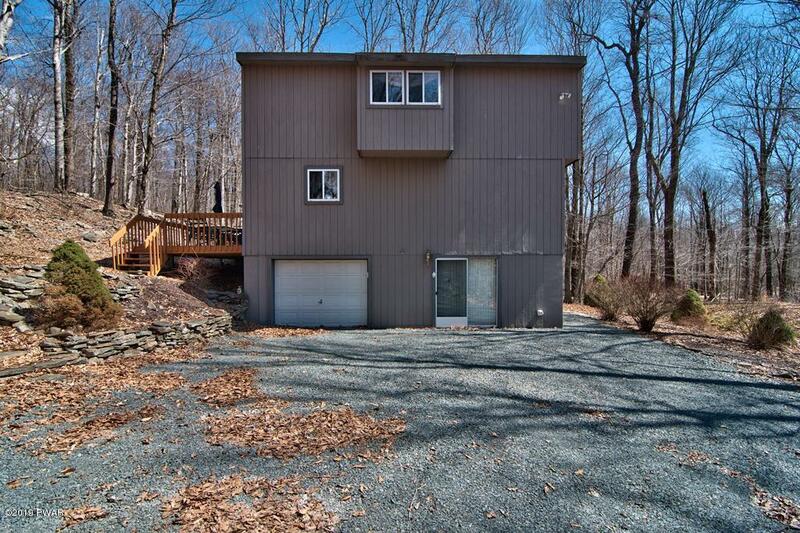 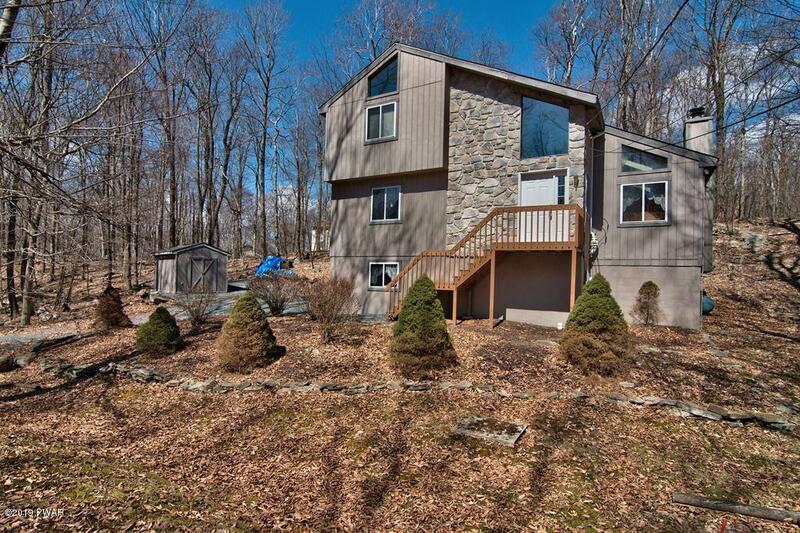 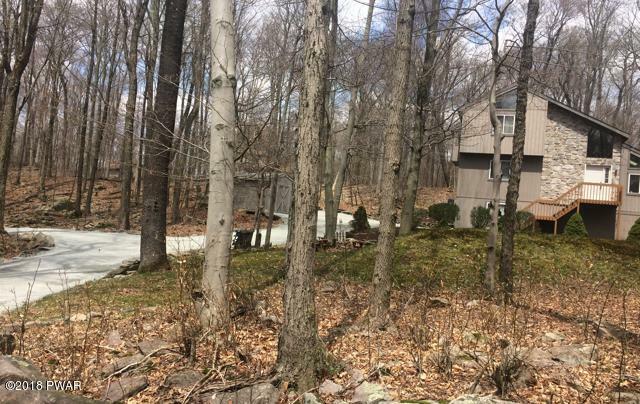 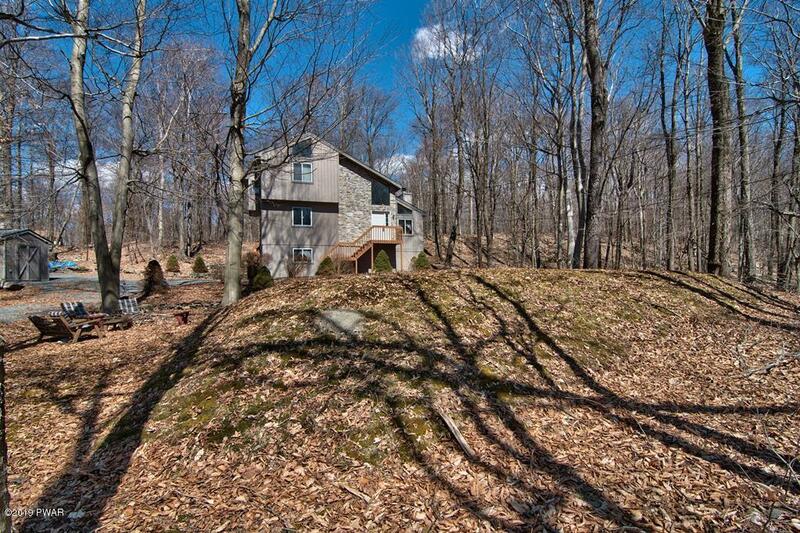 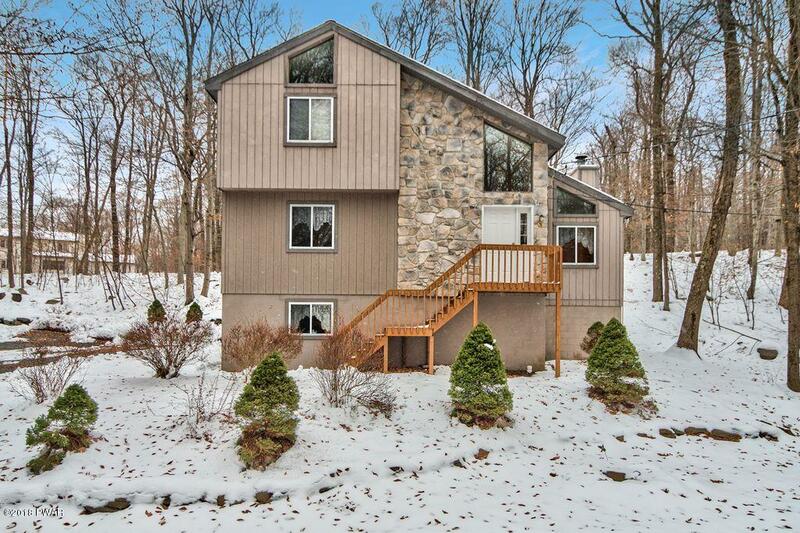 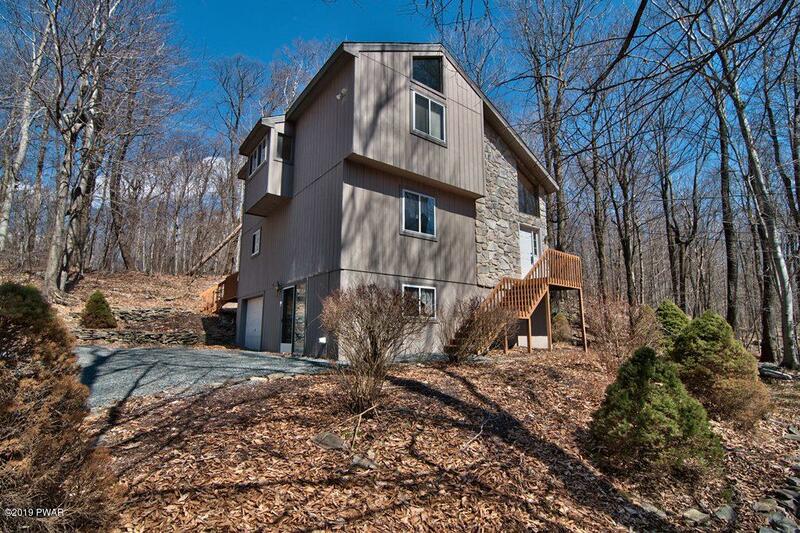 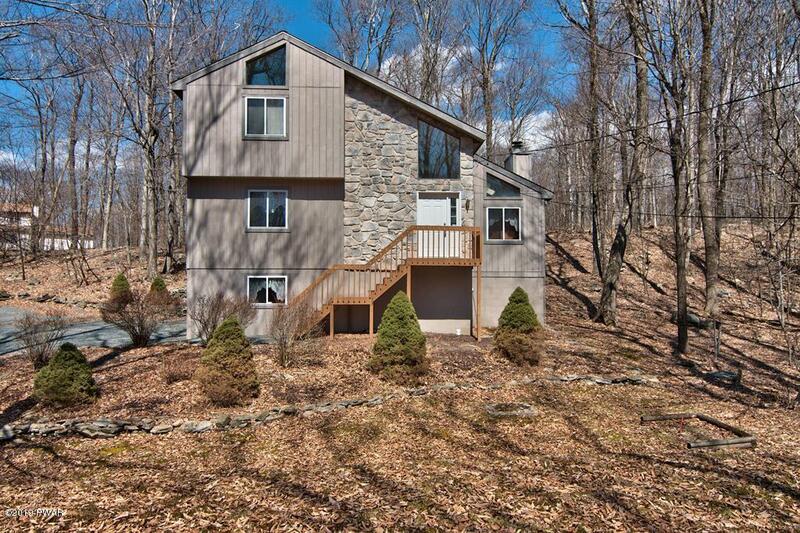 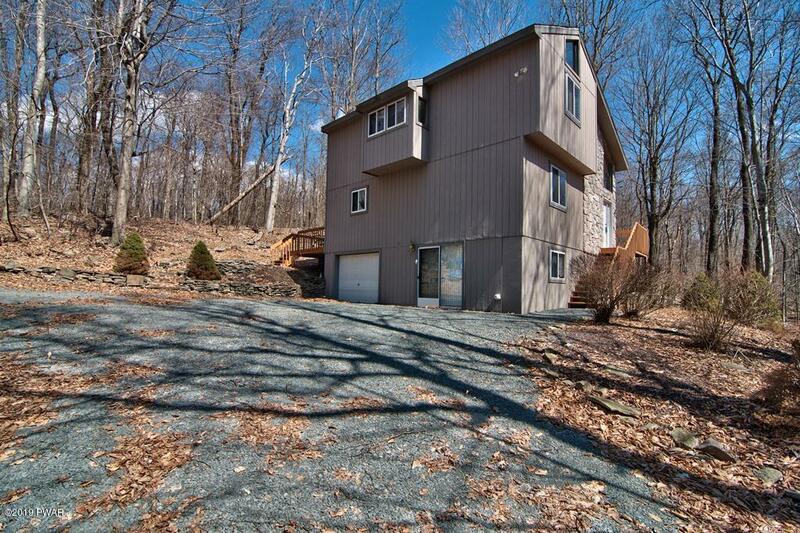 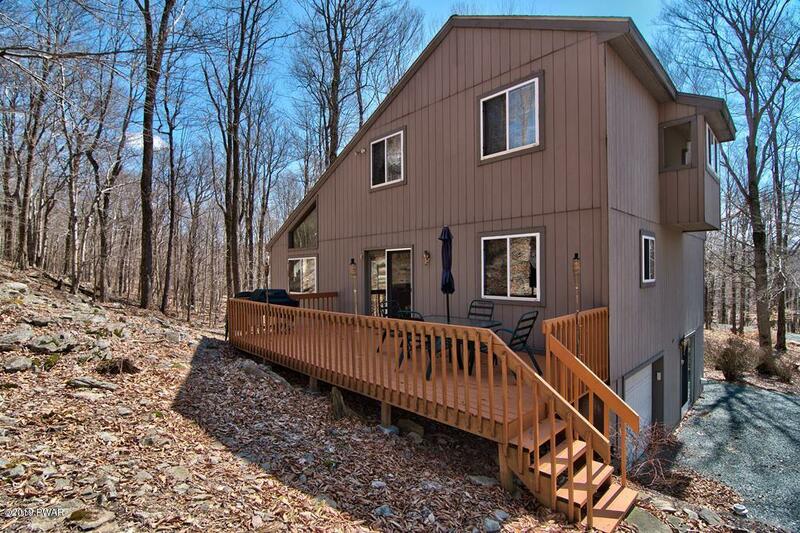 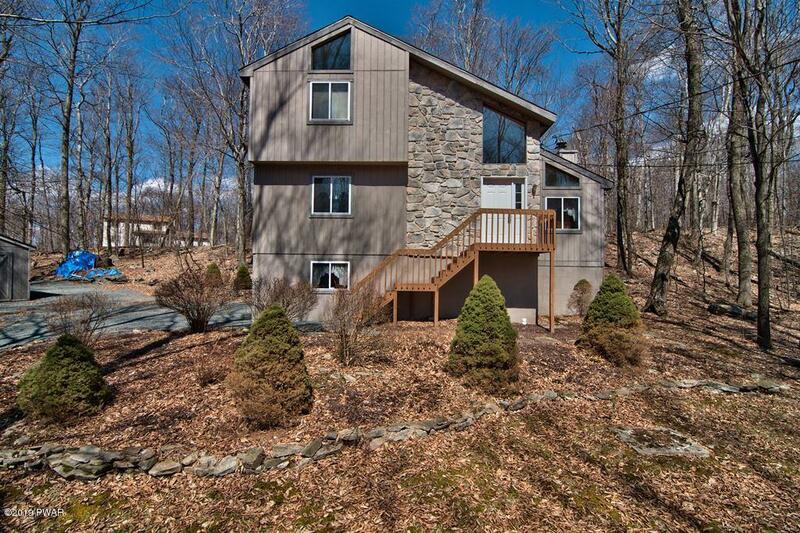 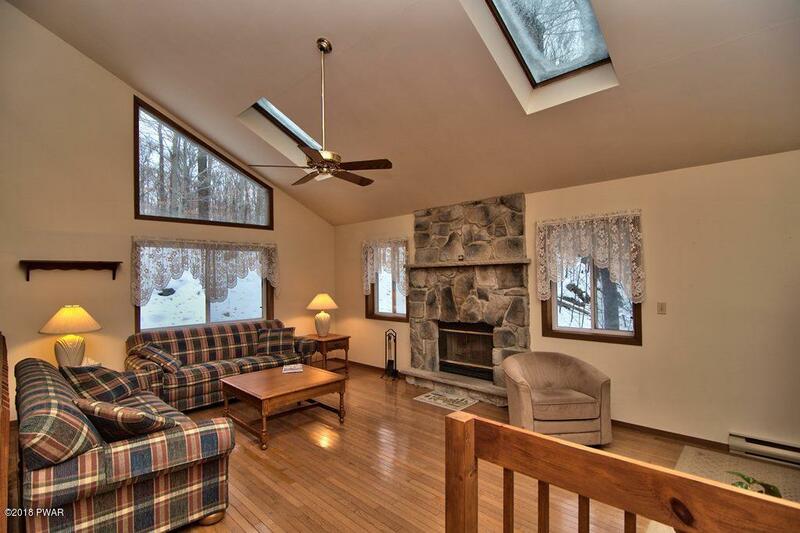 Beautiful contemporary home located on a very private, secluded lot in a lake community just an hour from the Delaware Water Gap. 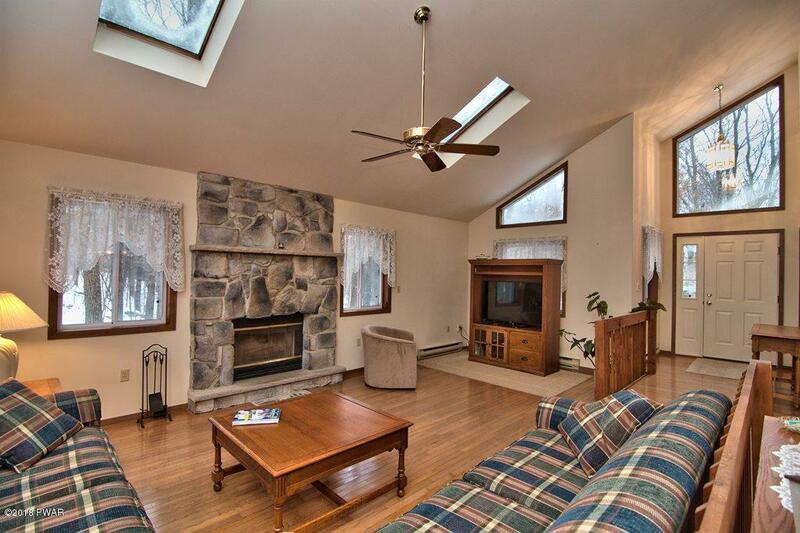 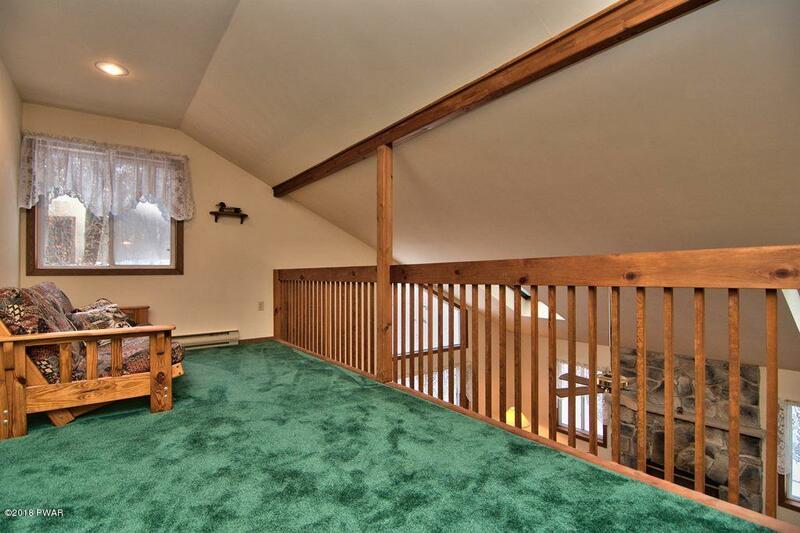 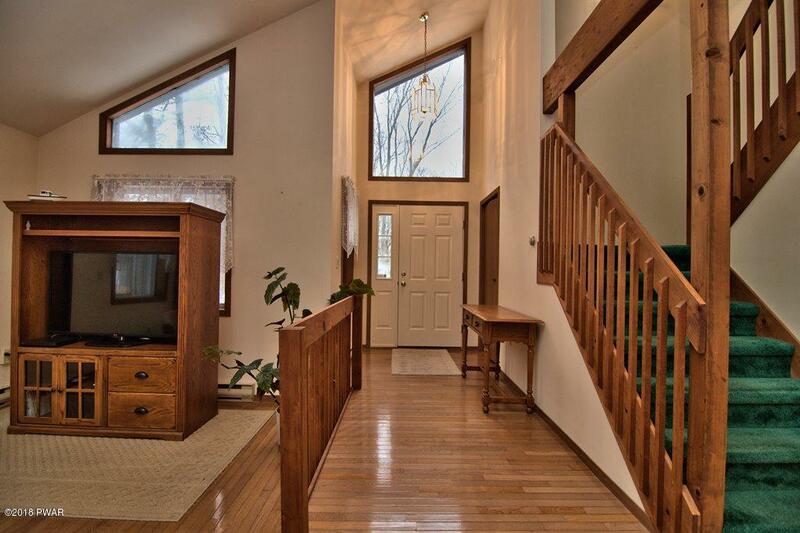 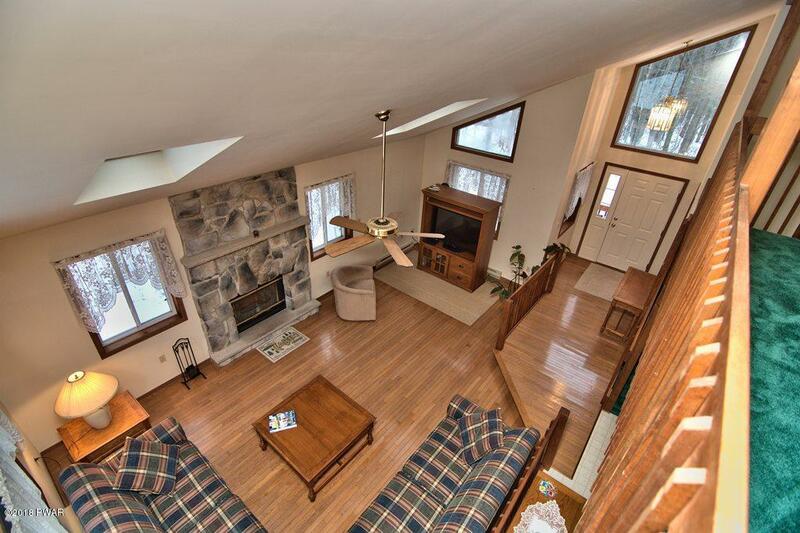 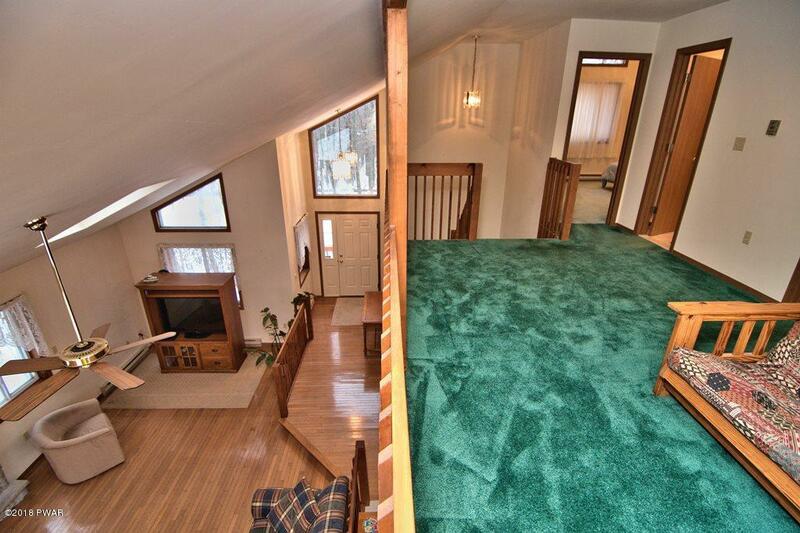 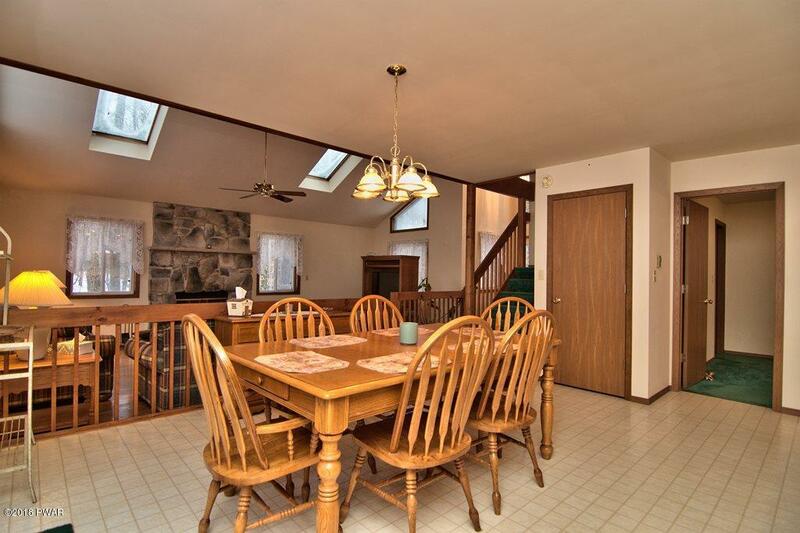 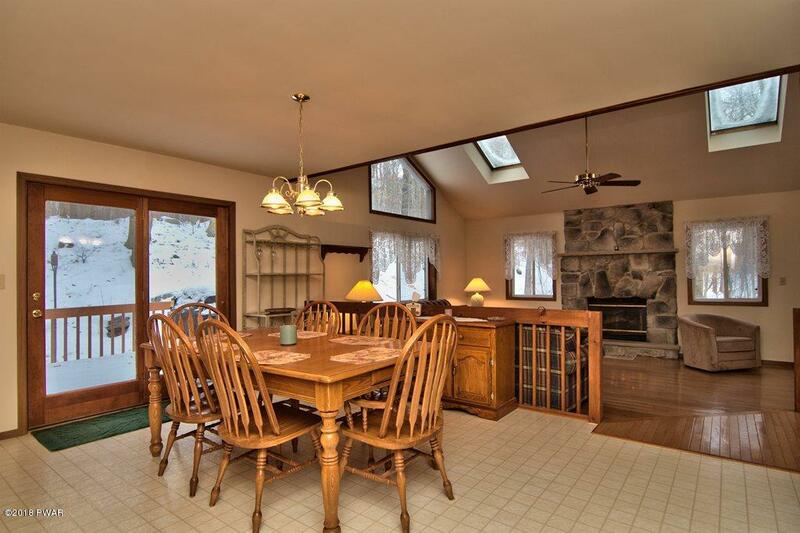 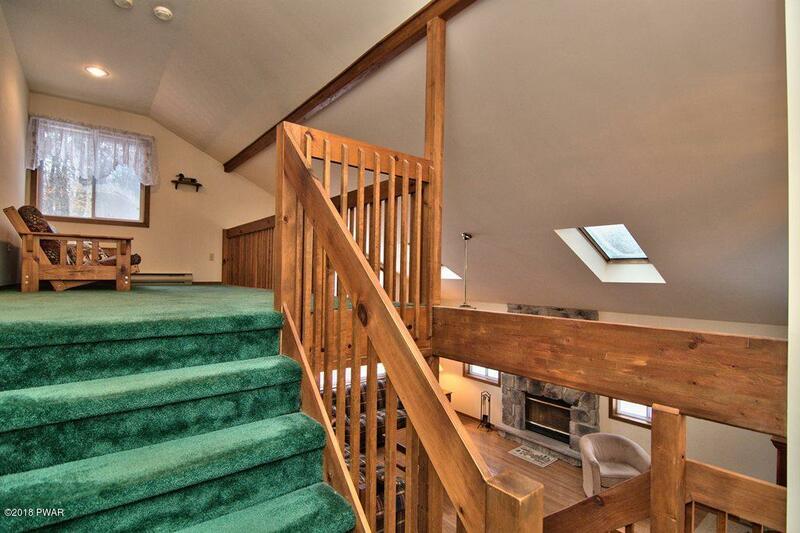 Huge open space with cathedral ceilings in the living room, fireplace and loft above. 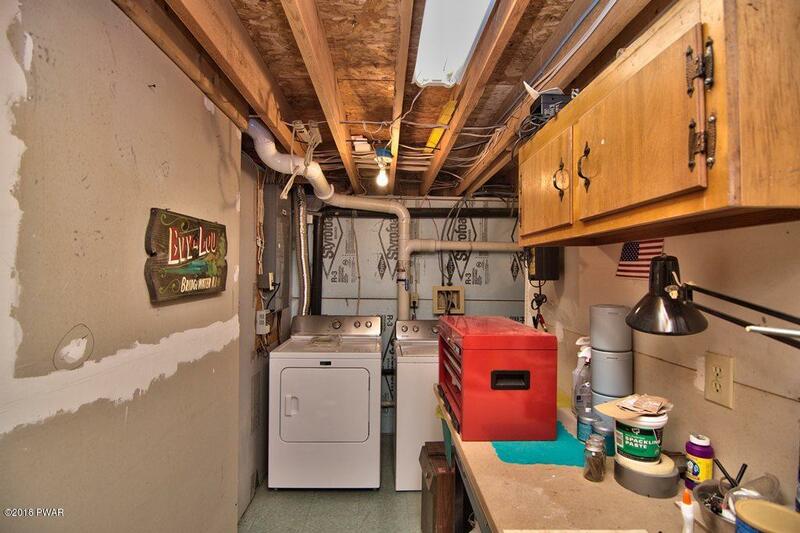 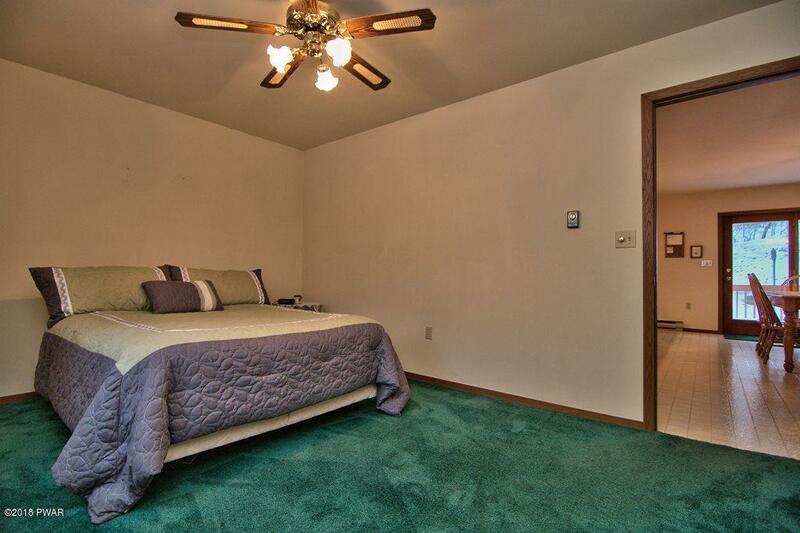 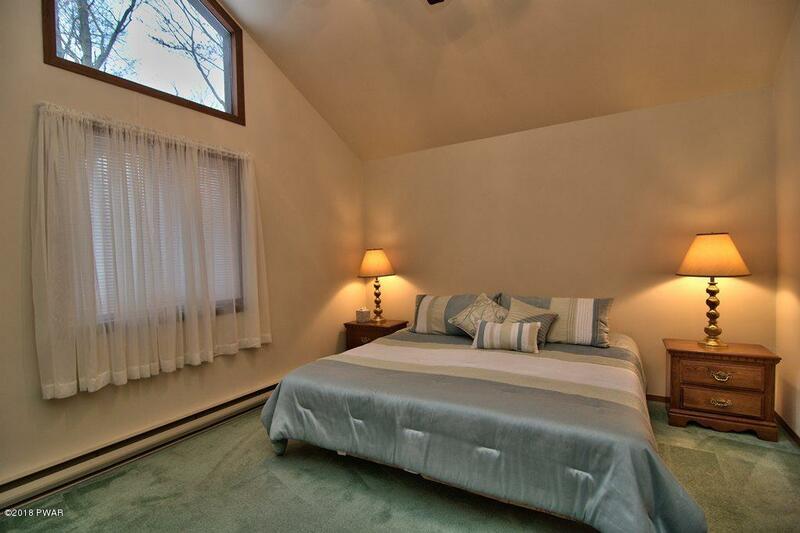 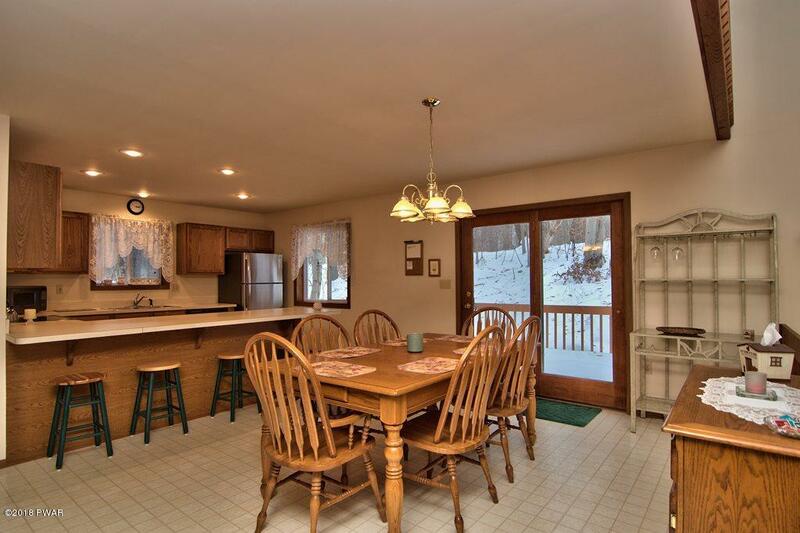 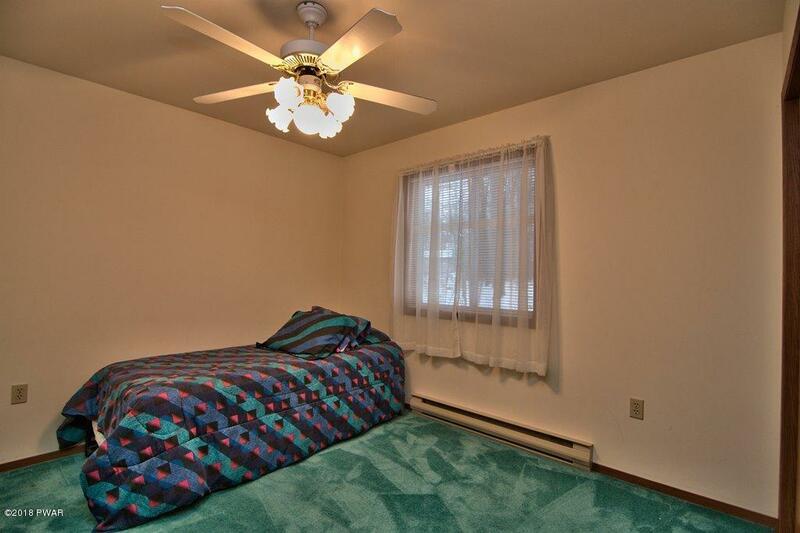 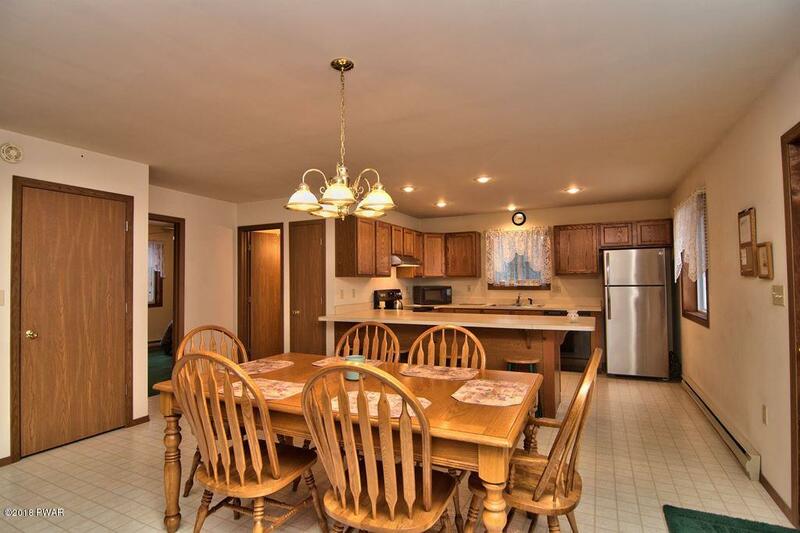 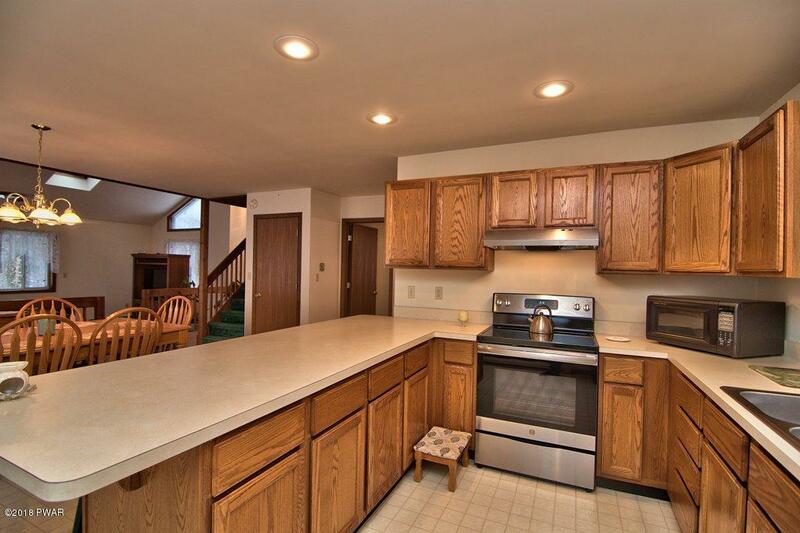 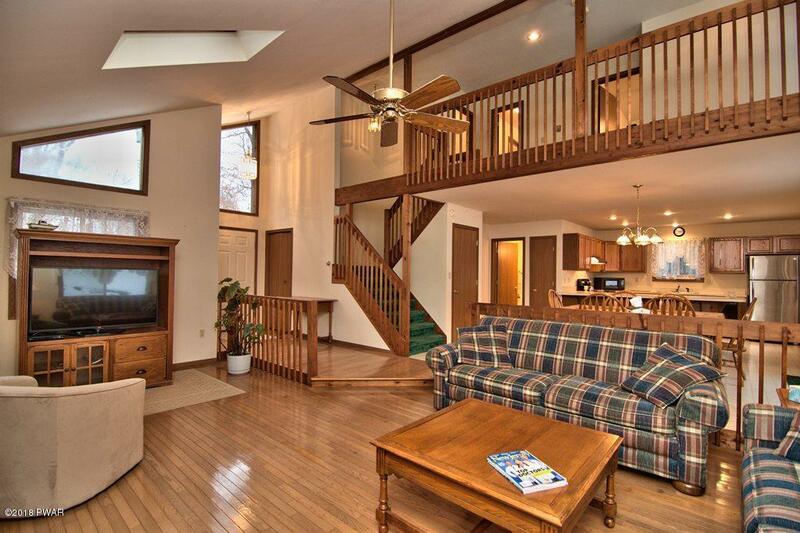 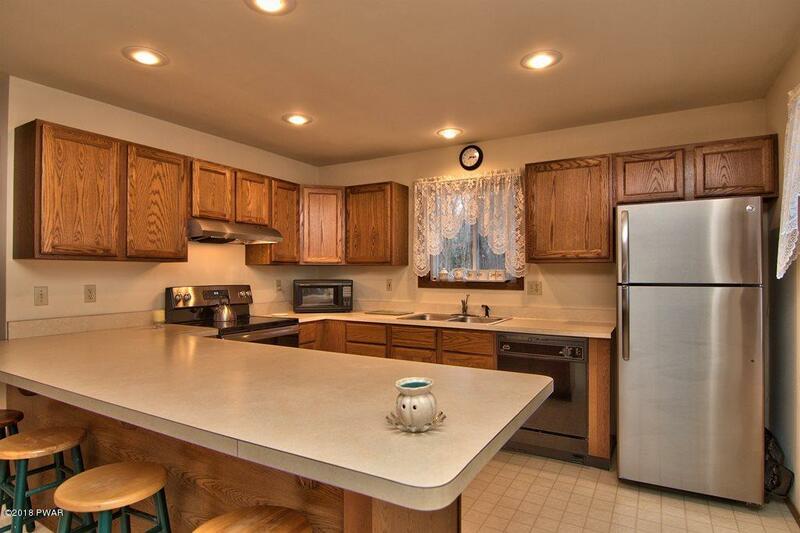 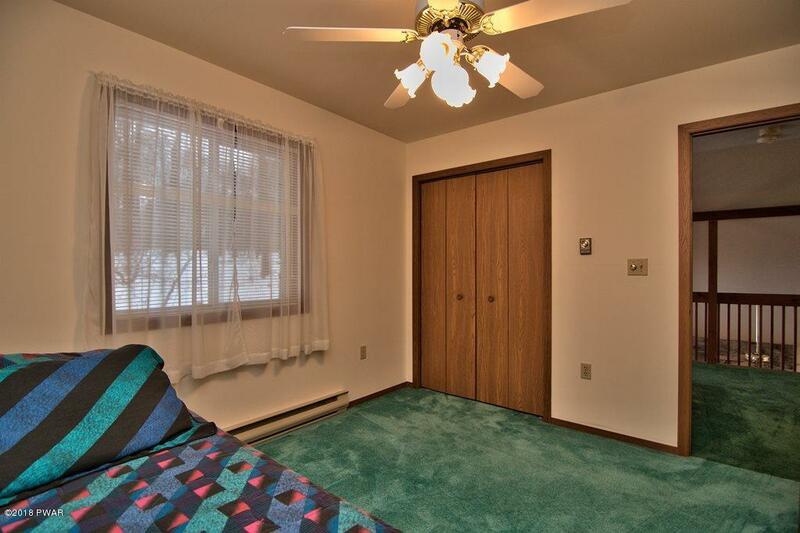 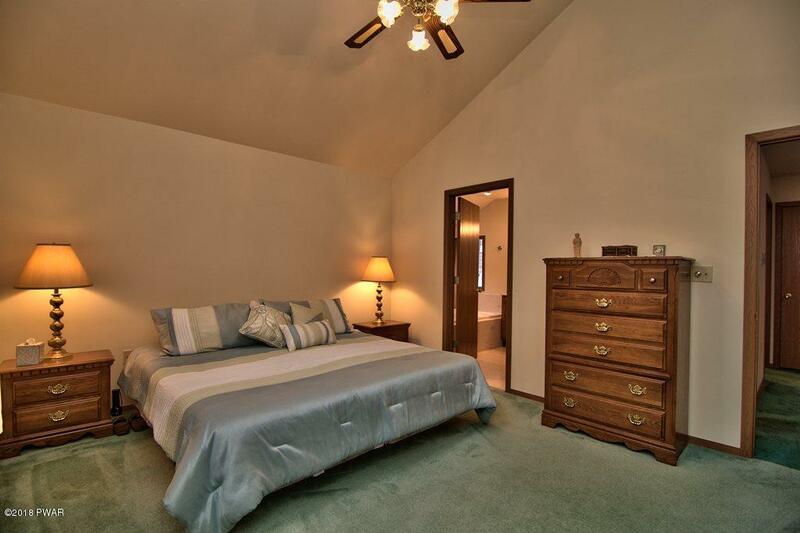 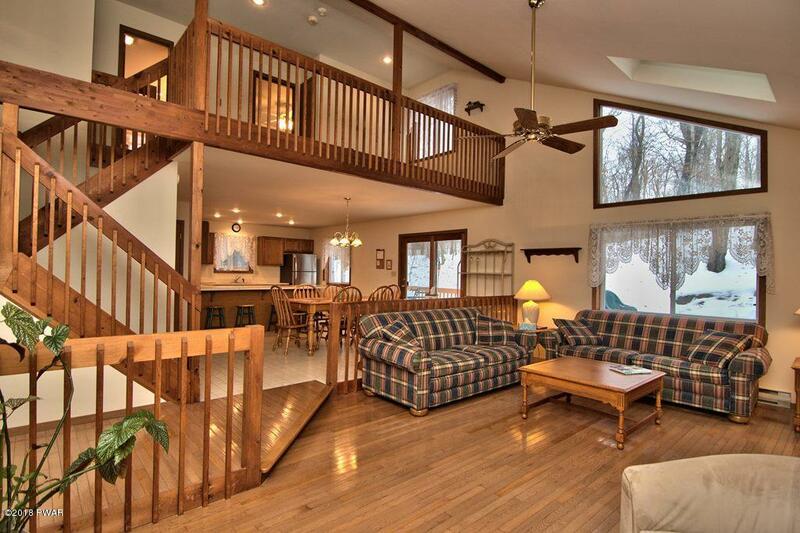 The open floor plan is perfect for entertaining and has access to the large rear deck. 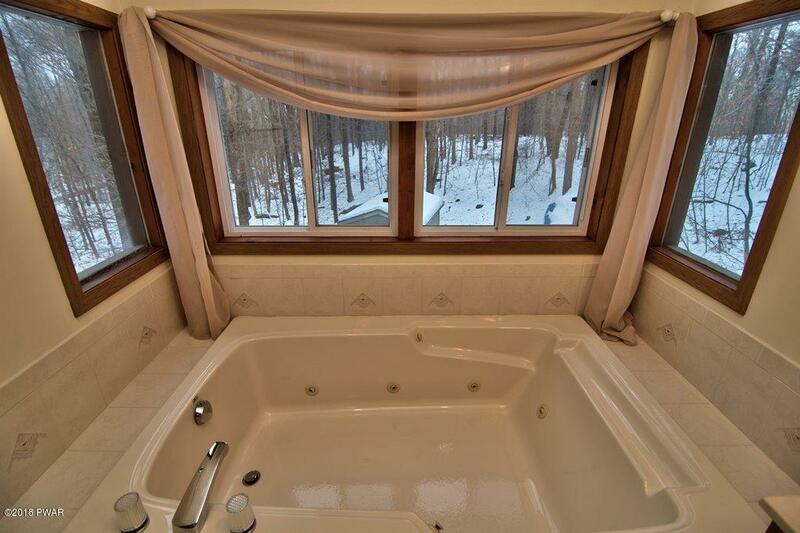 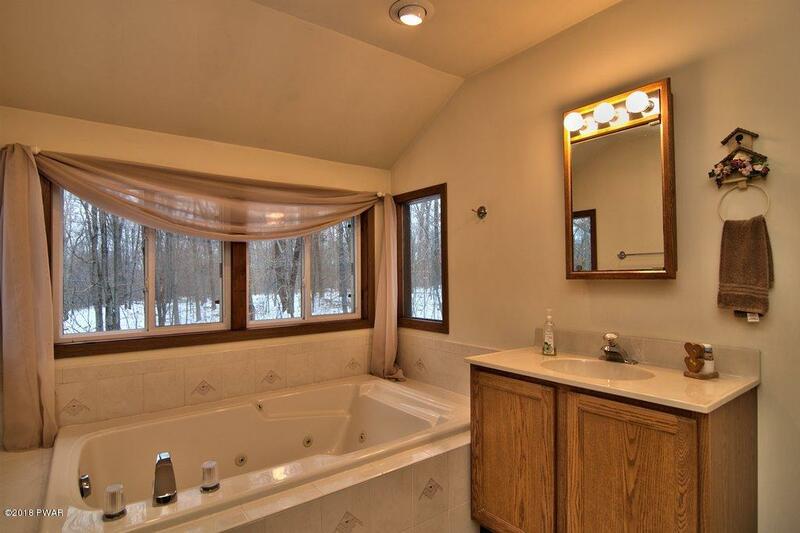 There's a bedroom and bathroom on the main level, 2nd level includes master bedroom vaulted ceilings, bathroom with huge whirlpool tub, 3rd bedroom and loft too! 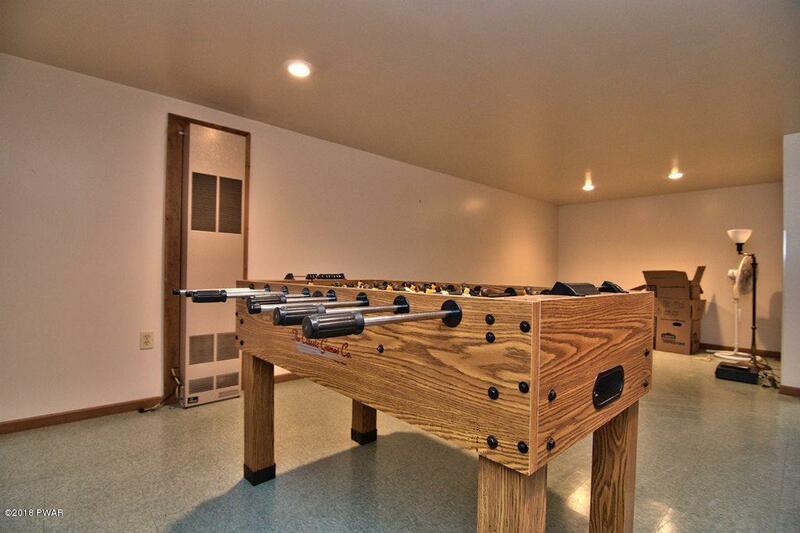 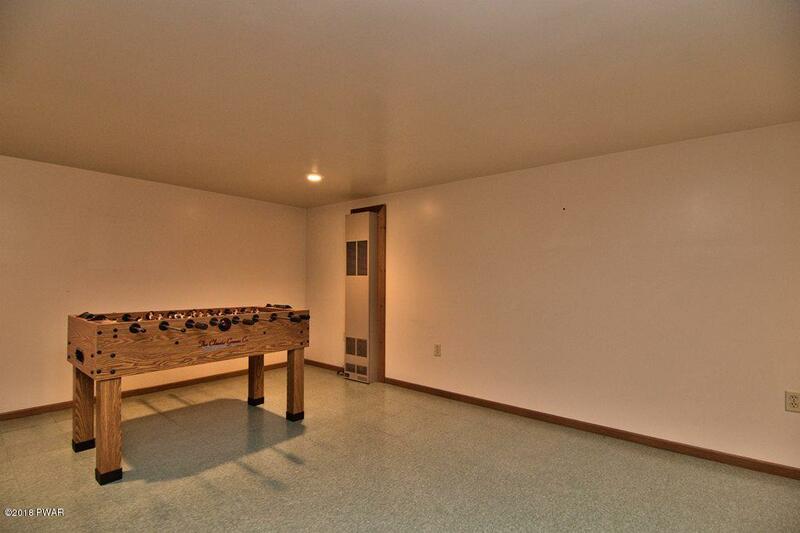 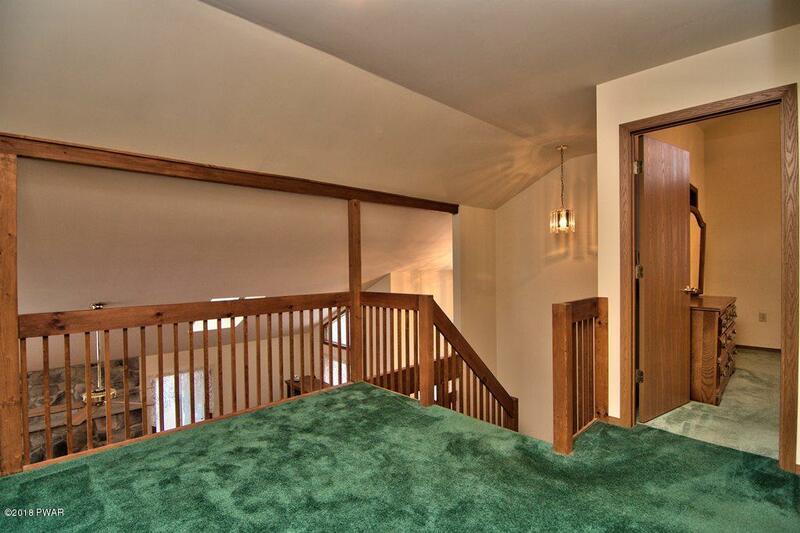 The lower level is finished with a family room and recreation room. 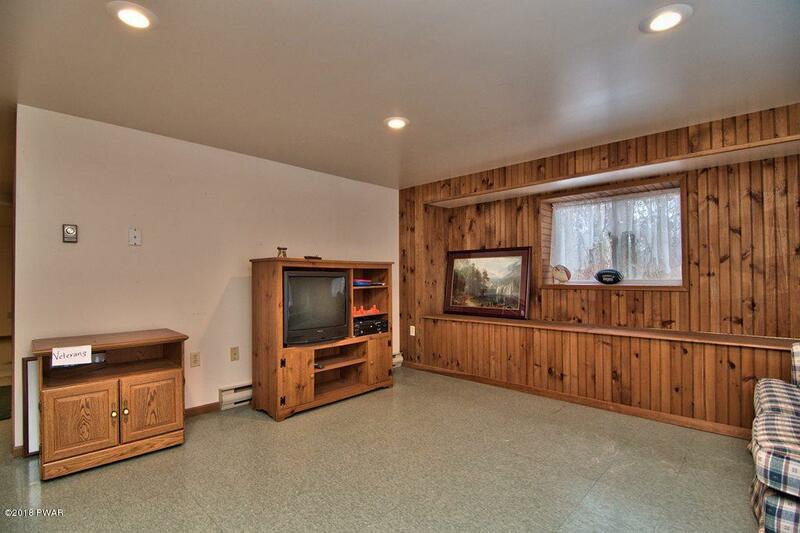 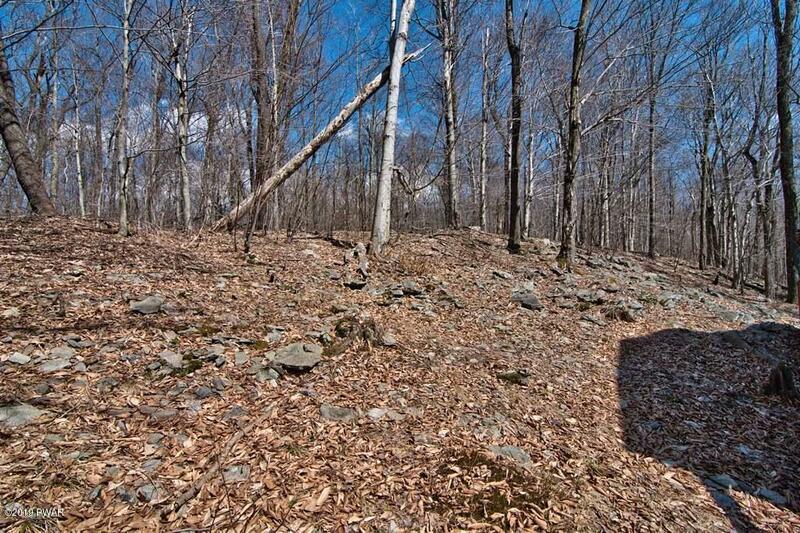 Nice level lot and one car garage too. 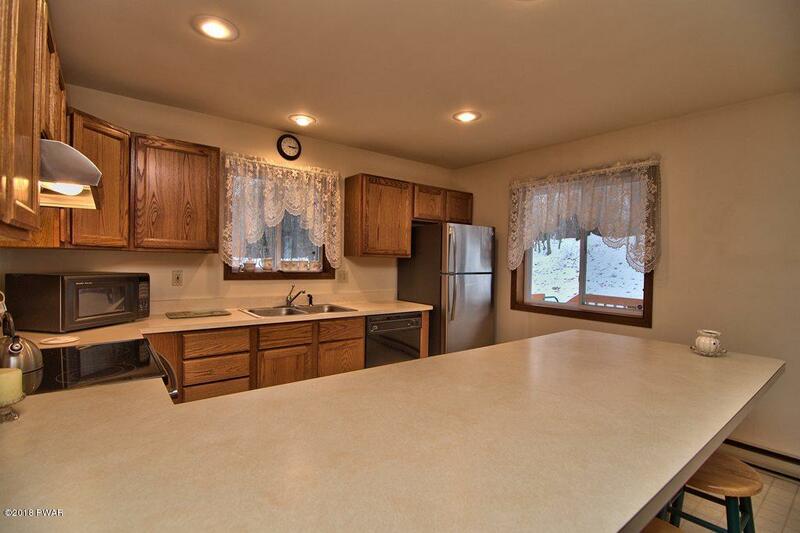 New stainless steel kitchen appliances, washer and dryer. 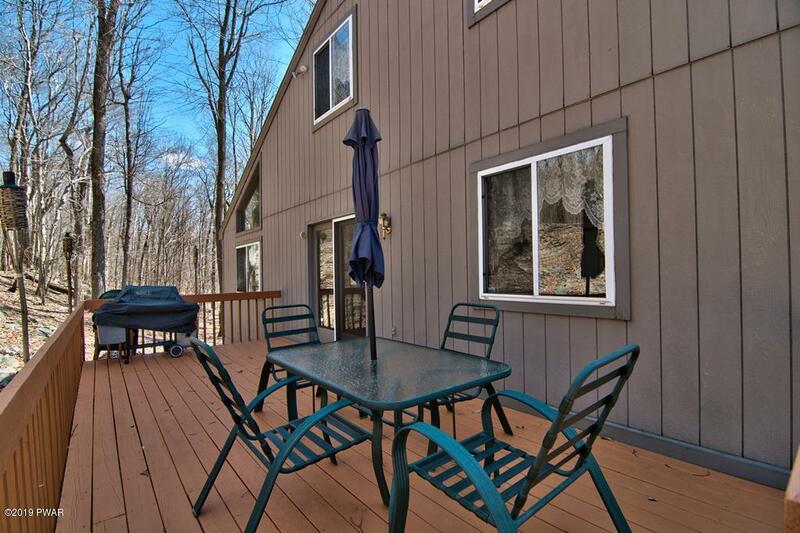 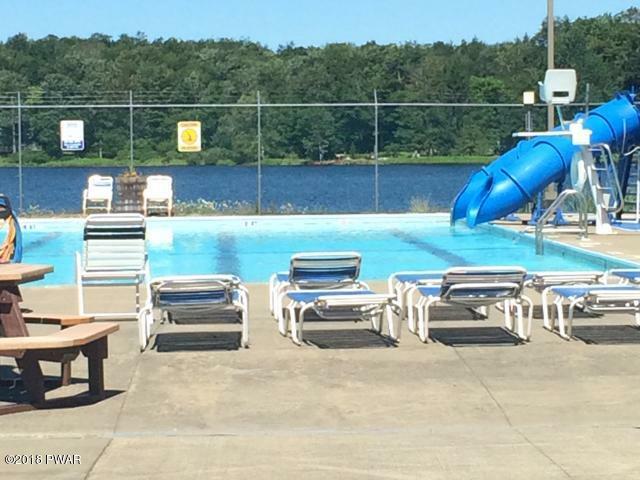 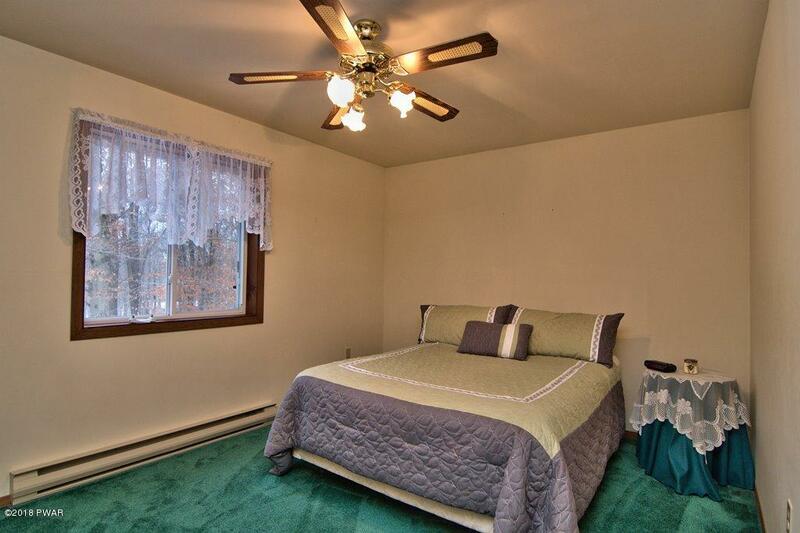 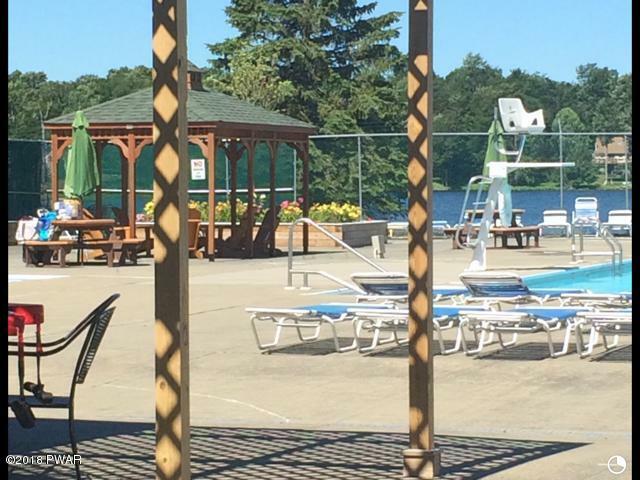 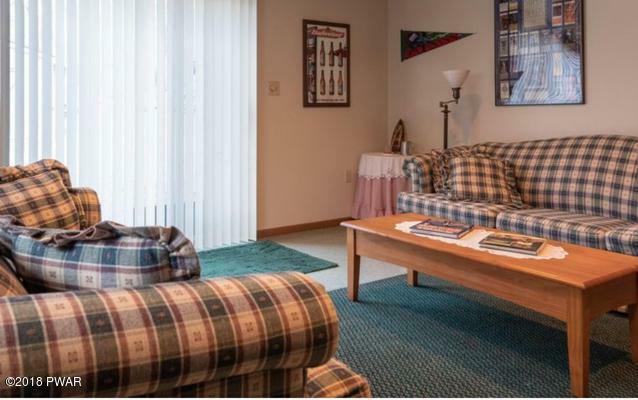 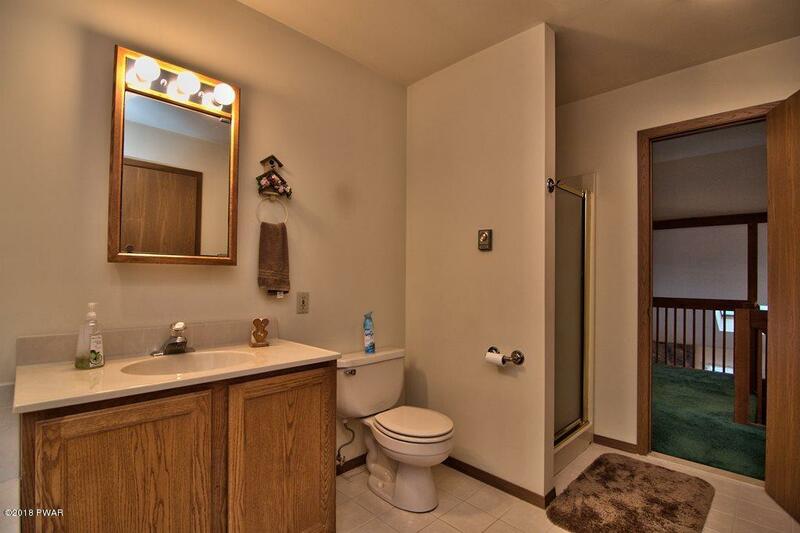 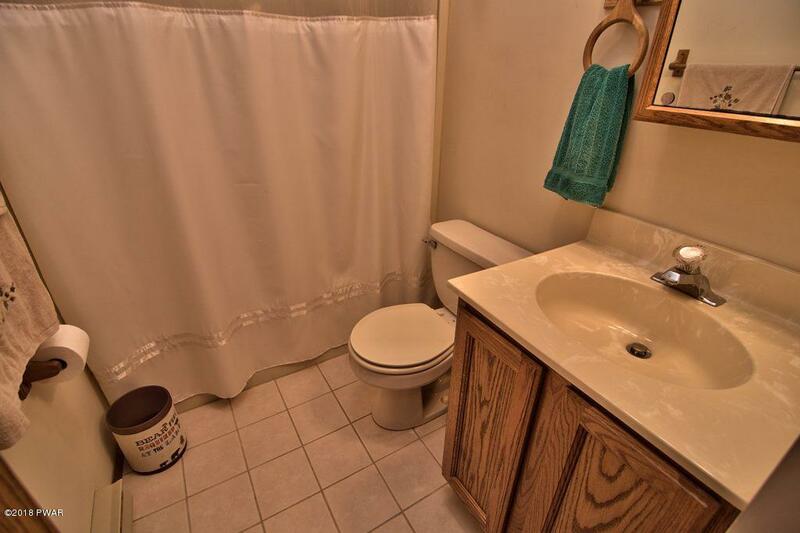 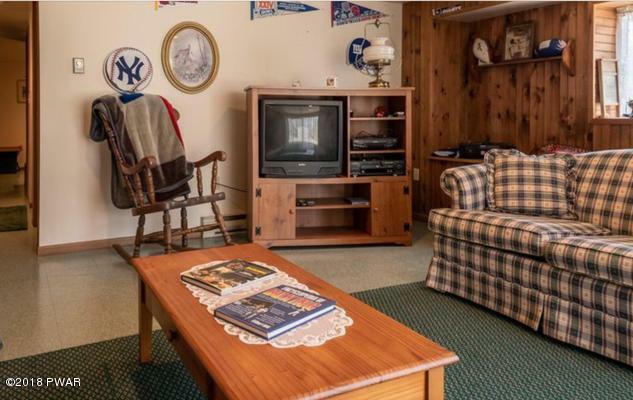 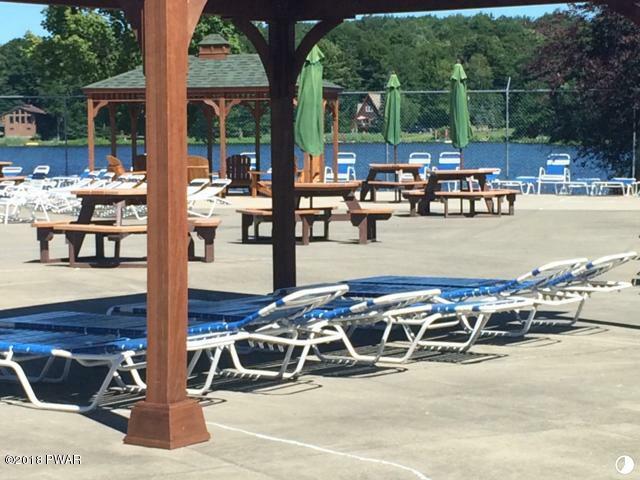 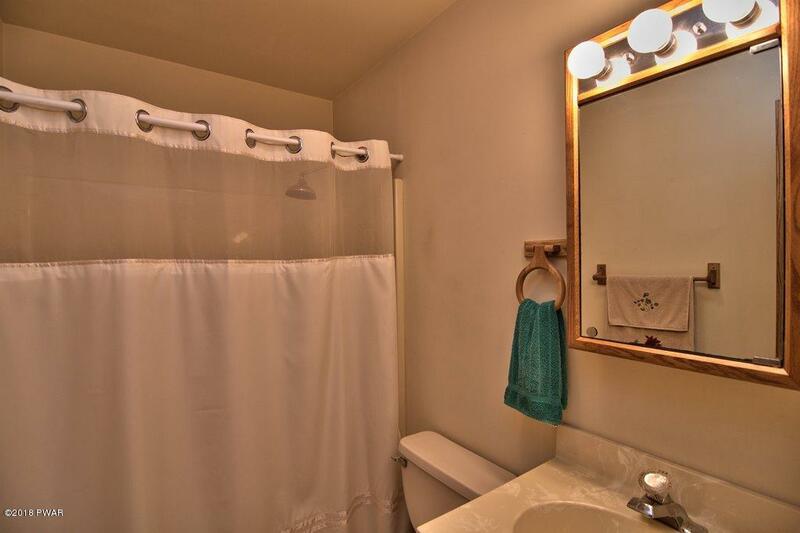 Located in a quiet lake community with a beautiful lake and pool. 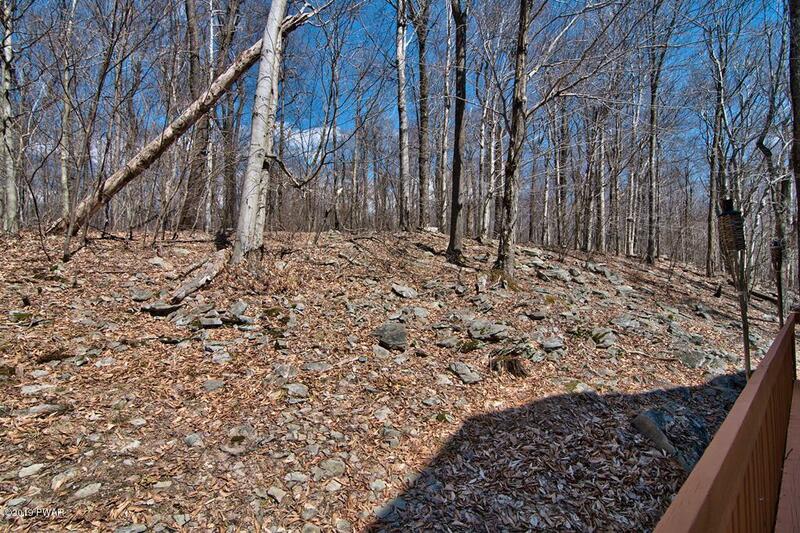 ATV's allowed.